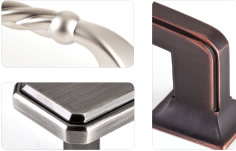 You don’t want to rush your decision on cabinet hardware. It may seem like a small thing, but your choices will affect the everyday usability of your cabinetry and influence future changes. 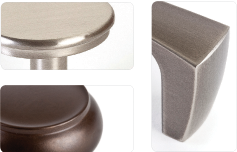 Decorative hardware runs the gamut from simple knobs and pulls to unusual shapes to antique reproductions. Understated, stylish or attention-grabbing—it’s all a matter of finding the look that fits your personal style, and the shape that will fit your needs. You may want to consider how much use a cabinet knob or pull will get. How will it feel each time you pull on it? Read more on our website. 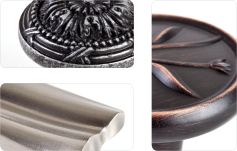 Kitchen Views recommends Berenson decorative hardware for their huge selection of hardware in materials, finishes, sizes and styles to enhance the appearance of cabinets and furniture. Berenson recommends narrowing hardware into a manageable selection, which is crucial to the decision making process. 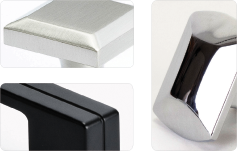 Step 2 | Request Samples | It can be very difficult to choose hardware without physically seeing it in person. Photos may not always accurately represent the size and color of a piece of hardware. Kitchen Views showrooms have a wide selection of decorative hardware. You can also ask the designer to order a special sample. Step 3 | Confirm Your Hardware Choice | The ultimate way to confirm a hardware decision is to place the hardware directly on the cabinetry within the actual design space. A complimentary sample clip ships with every Berenson sample request. 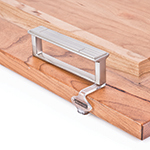 Use this innovative clip to slide hardware samples directly onto your cabinetry to get an early look at the final product before the commitment of drilling holes. Great, easy to understand directions. I will be sharing this with clients to help them understand the importance of this process. I expect some orders will be coming you way. Thank you. I absolutely agree, the wrong choice of cabinet hardware really can spell a disaster, some great tips here!